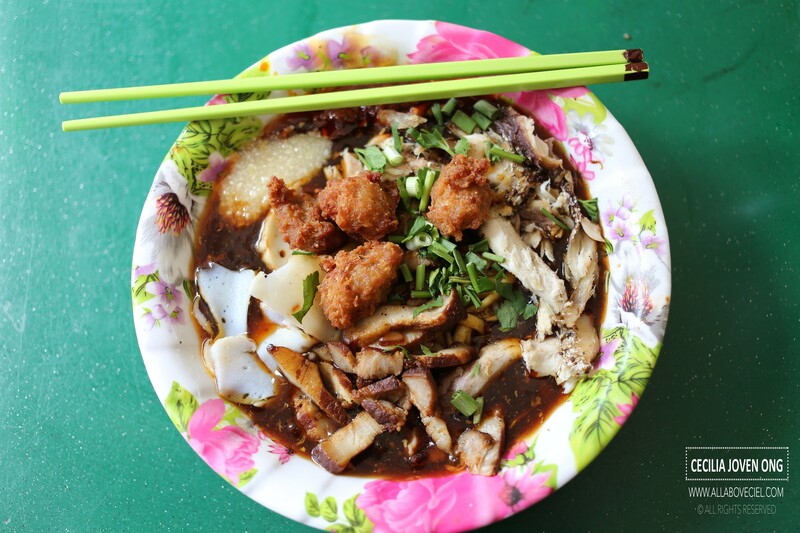 Taman Jurong Food Centre is the first hawker centre built by the government in 1971. Though it might have lost its former glory as it is not as crowded as before but calling it a 'ghost town' and 'forsaken place' as in a particular article that i came across is definitely exaggerating. It was mentioned in the article that 'during lunch hours owners could be seen swatting flies by empty tables' is not quite right. Some of the stalls do close as early as 2 pm and some of them sold out pretty early as the nearby factories usually send out representatives to take away lunches as early as 11 am. Their rentals might be on the high side as mentioned in the article as there are some stalls particularly the back row at level 3 are left unoccupied. Of course, do not come at night when most of the stalls have already closed, then the food centre is really a ghost town. Otherwise, i was there for lunch quite often and to call it a forsaken place, i do not quite agree at all. They moved from Bukit Timah Food Centre to here in March 2014. This is one of the stalls with a constant queue. 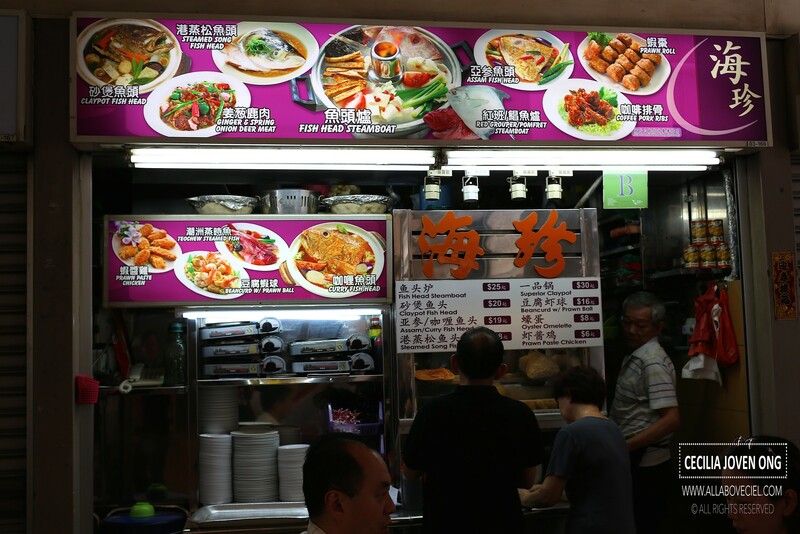 Their signature dishes are Chicken Chop, Pork Chop and Baked Rice since their opening in 2004. I did not hear much about this stall when i first chanced upon them but my attention was caught by that on going long queue. I decided to have Fried Chicken Cutlet ($5) during my first visit but the taste was not quite memorable. When i came back this time, i decided to go with their Grilled Chicken Chop ($5). I was expected to pay first then asked to come back in 15 minutes to collect it. The Auntie could actually remember you and your order. When you return to collect your order, you just need to hang around there and just watch out for her to signal you over to collect it. The Chicken Chop consists of a piece of grilled chicken chop with a portion of fries, coleslaw, cucumber and tomato in a pool of brown sauce. It was gorgeously tender and succulent with a smoky charred flavor, it was nicely seared to give the skin a delightful crispiness as it demonstrated a good control of fire. The accompanying brown gravy was intensely flavored and very tasty. My first mouthful actually blew me away, it has not happened for the longest time. This was one of the tastiest Chicken Chop and it tasted so good that i am actually ranking it amongst the top 3 in my list for the best Chicken Chop. The menu also consists of Grilled Fish ($5.50), Grilled Salmon ($6.50), Grilled Pork Chop ($5.50), Grilld Sirloin Steak ($7.00), Grilled Lamb Chop ($7.00), Chicken Cutlet ($5.00), Fish Cutlet ($5.50), Pork Cutlet ($5.00) and Chicken Wing Rice ($3.00). They do also serve pasta and baked rice. It was founded a really long time ago and it is in the good hands of the second generation now. 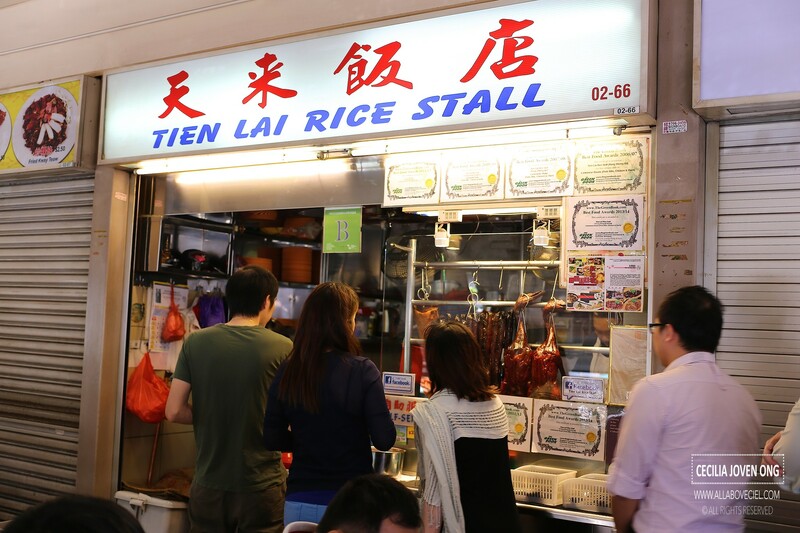 It serves Hong Kong Roasted Meats that is highly raved by many to be the one of the best in the western part of Singapore, it has one of the longest queues in this food centre. It was almost sold out during my first and second visit, i made an effort to come early this time and joined in the long queue. I waited for close to 30 minutes before i got to order. 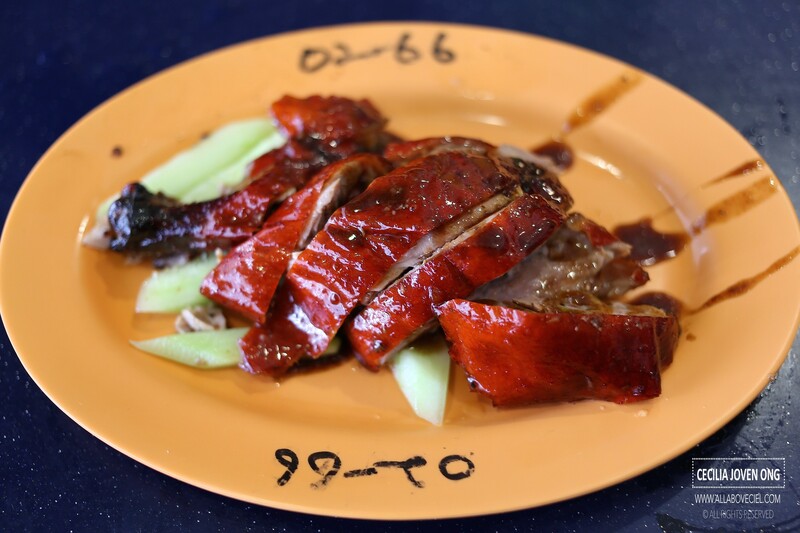 I decided to have a Roasted Duck Drumstick for $5 and a plate of Char Siew & Sio Bak for $3. The Roasted Duck Drumstick was nicely roasted to impart a slight smoky flavor beneath the skin with a perfect tenderness. I was told that their Char Siew and Sio Bak are usually the first to be sold out, much earlier than their Roasted Ducks. 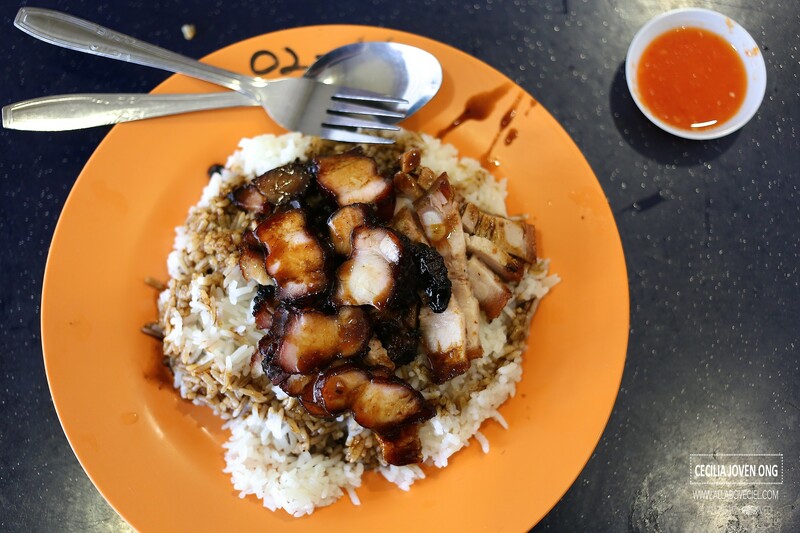 The portion was quite substantial with an adequate amount of rice with Char Siew and Sio Bak. The carmalized Char Siew has an nostalgic old school taste, it was nicely charred around the edges and sweetened. They are known to use a higher grade of rice like the pearl rice which gives a better texture as compared to the other stalls. It was then drizzled with their thick and richly flavored dark sauce on the rice. 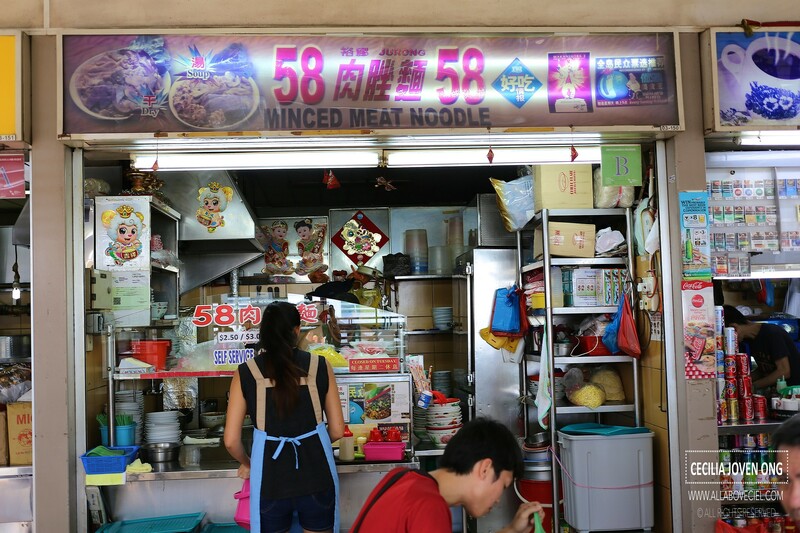 The stall owner, Mr Ang, is the second generation hawker, taken over the stall that first started by his father in 1973 at the old market in Taman Jurong. He started helping his father since young before he took over the stall about 10 years ago. 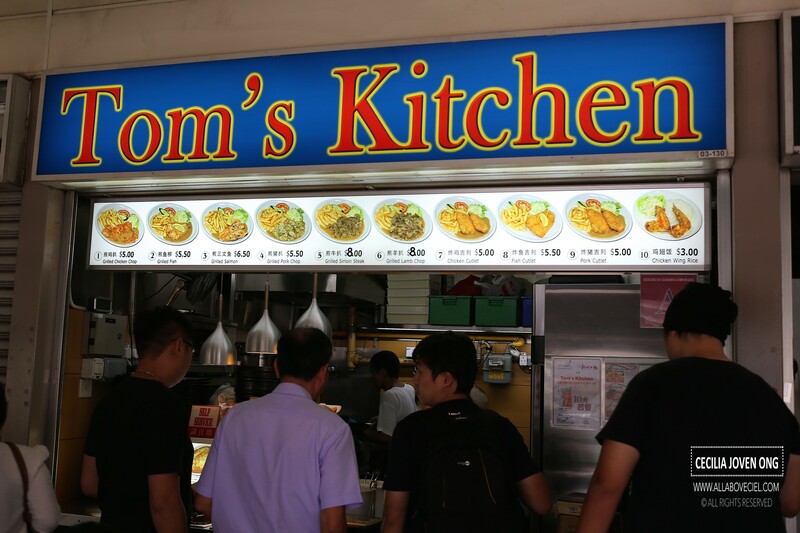 There is another stall with the same stall name at the Taman Jurong Shopping Centre operated by a close relative supposedly with a comparable standard. The mee pok was cooked well to give it the desired springiness and the right softness. 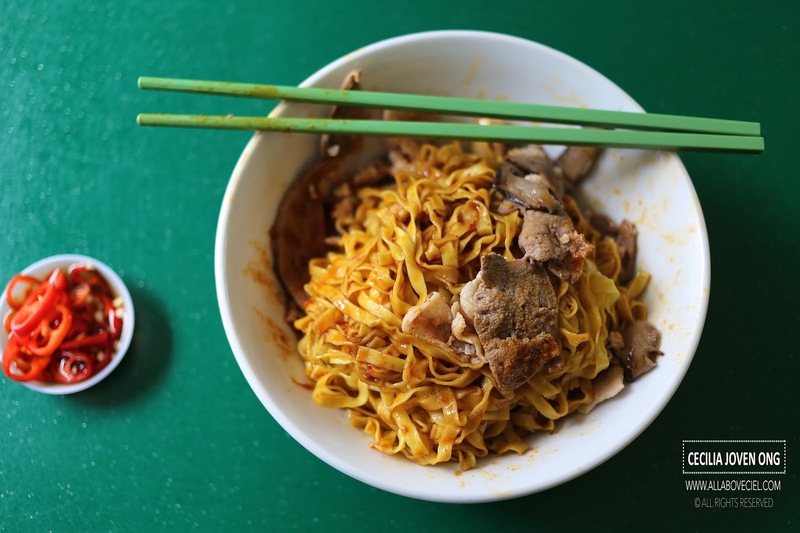 It serves with a good amount of ingredients like minced pork, pork liver, mushroom with bits of crispy pork lards added to enhance its flavor. They did not braised their mushroom here but rather they sauteed it, a rather old school way of doing it. I particularly enjoyed the few big pieces of pork liver that were of the right thickness and sizes, perfectly cooked to a perfect tenderness. To enjoy, first is to mix the noodles well with the chilli and vinegar base sauce mix underneath that pile of noodles. The amount of vinegar added was just right to add flavor and not powering, the level of spiciness was just right for the chilli. I would have be one of their regular customers if it not of its location, as it is way too far from my house. I would also be more than willing to pay $3.50 for such a bowl of noodles as this is one of the cheaper and better Bak Chor Mee that i have ever eaten. You could add another $1 for an extra amount of ingredients. 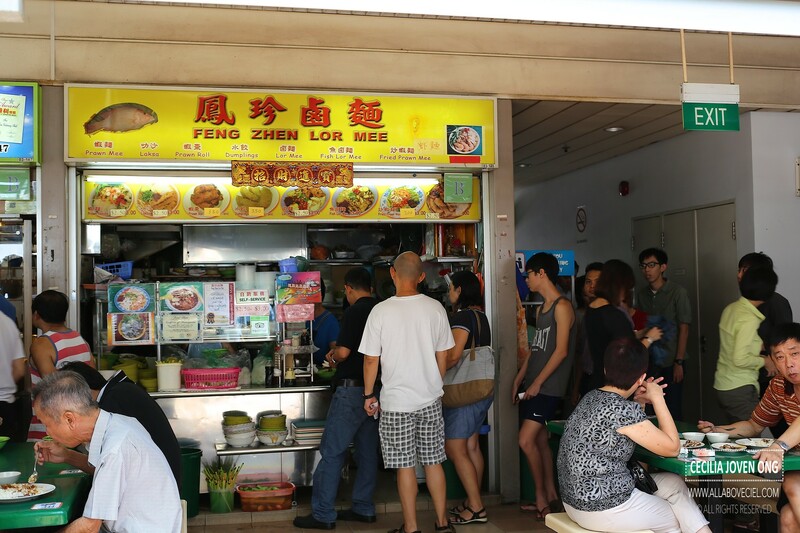 This is another popular stall in this food centre will a constant long queue. They used to be in other part of Jurong but moved to the food centre about 7 years ago. 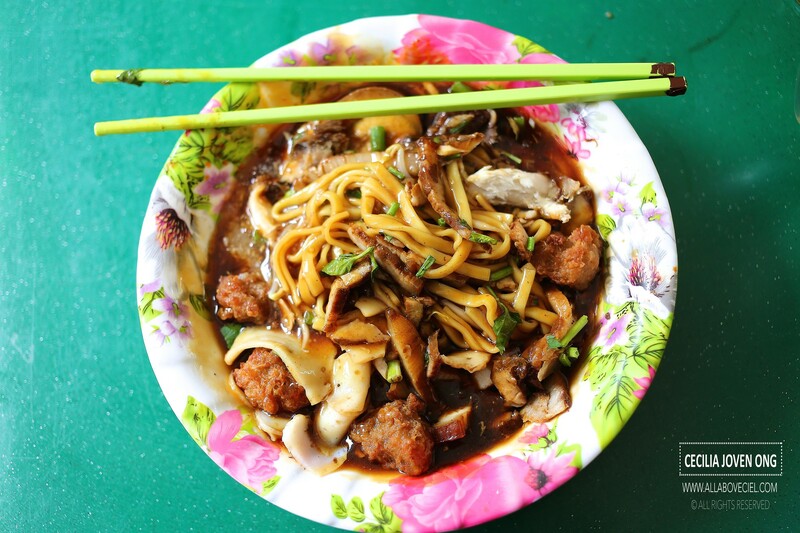 Though there are other noodle dishes on their menu but the most popular has to be their Lor Mee. You could choose between the $2.50 or the $3.00 portion, you could also order the $4 portion for an additional amount of ingredients added. You could specifically tell them what extra ingredients you would want to be added. 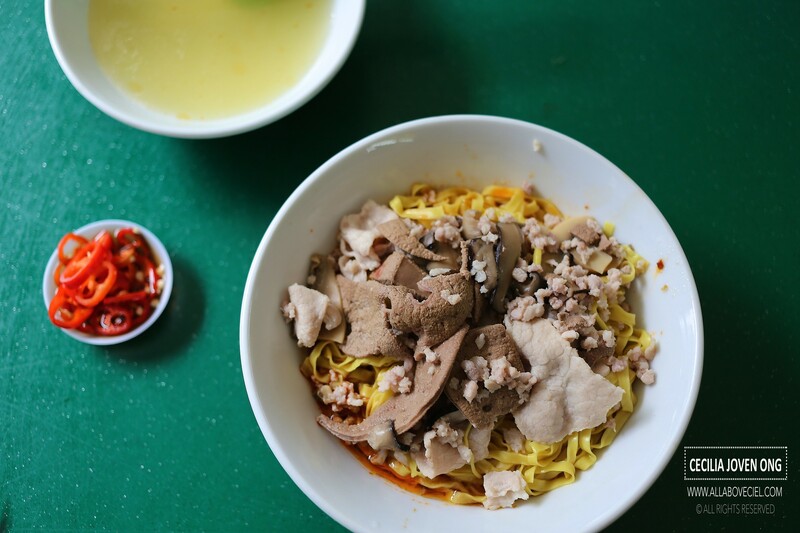 The Lor Mee came with ingredients like their handmade fried meatballs, shredded fish meat, braised pork belly, fishcake and half a braised egg. Some customers even order their handmade fried meatballs as a side dish to have it with the Lor Mee or just eat it by itself. The braised gravy is not as heavily flavored and not too overly starchy as well, i usually requested for an extra amount of chilli and garlic paste to be added to bring forth a stronger flavor. If you come during lunch, you are expected to queue for at least 15 minutes or more but the queue is fast moving though. Even though they are not the only Zi Char stall selling this hearty dish but their Fish Head Curry is quite popular. Their prices are very much depend on the sizes of the fish head on that day, it could be from $19 to $22. The freshness of these fish heads is guaranteed as the owner insists in only serving the freshest, he would rather not sell it then compromised its quality. 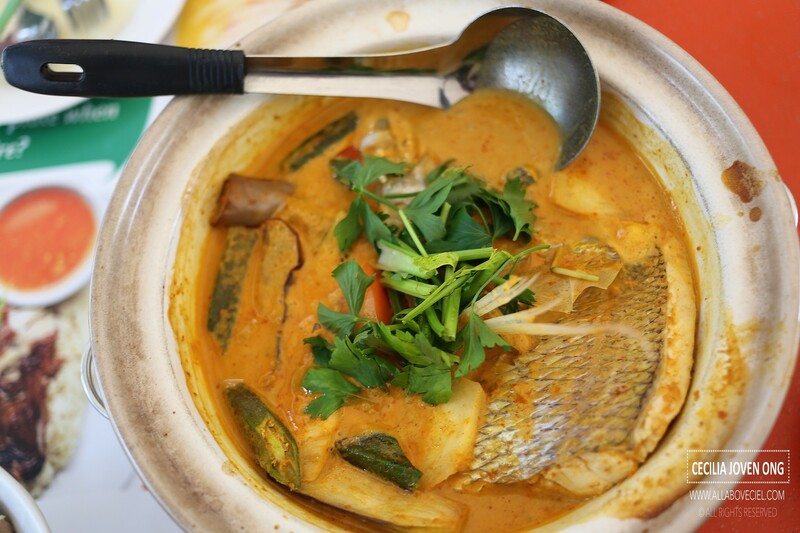 The fish head is usually quite big and meaty, with loads of brinji and ladies finger added with tomato and pineapple to bring forth a sourish taste. The curry sauce is not as creamy but rather aromatic with a rather mild level of spiciness. 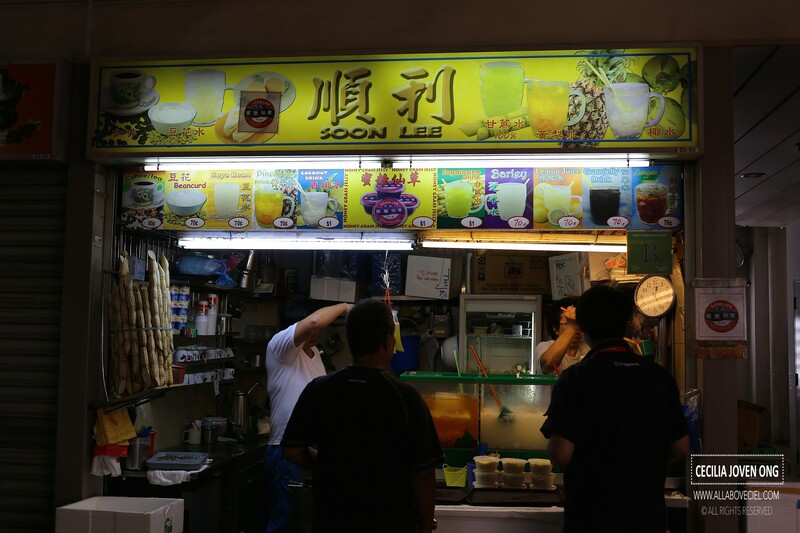 This is a popular drink stall that serves most of their drinks at only 0.70 cents, the popular choices are pineapple drink, lime juice, coconut water and soya milk. 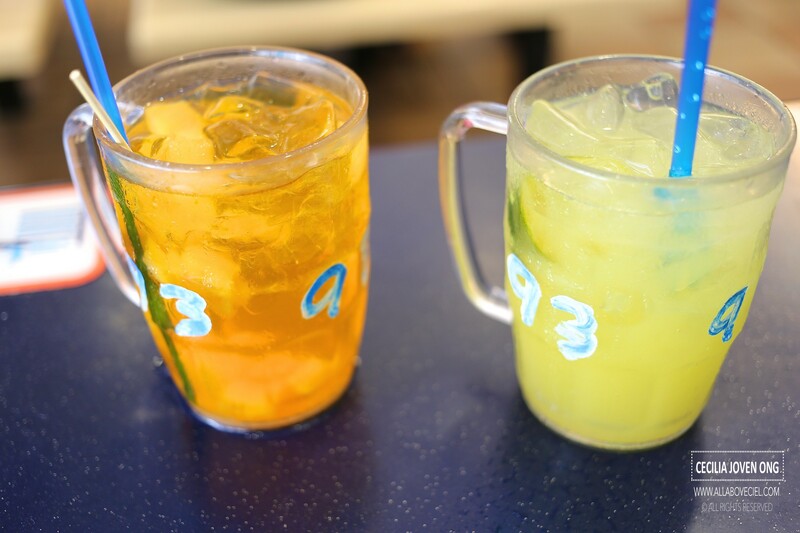 They do have also serve freshly squeezed sugar cane drink.